Four levels of certification: Engineer, Technologist, Specialist and Practitioner. 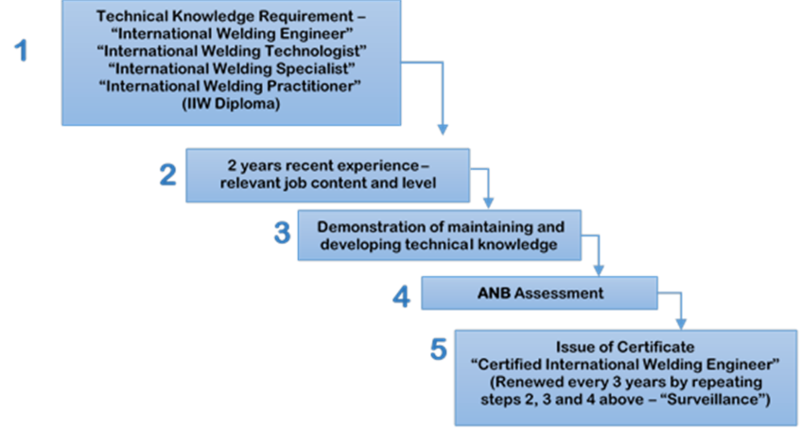 qualification, knowledge, experience and skills required for welding coordination tasks. Supports companies seeking to achieve compliance with ISO 14731. The International Personnel Certification Scheme is linked to the international Qualification System. Check the list of ANBs approved to award the EWF/IIW Personnel Certificates here.